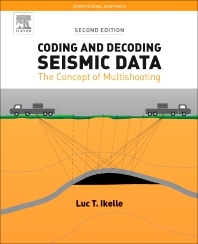 Dr. Luc Ikelle is a Professor in Geology and Geophysics at Texas A&M University. He received his PhD in Geophysics from Paris 7 University in 1986 and has sense cultivated expertise in: seismic data acquisition, modeling, processing, and interpretation for conventional and unconventional energy production; inverse problem theory, signal processing, linear and nonlinear elastic wave propagation, linear and nonlinear optics, and continuum and fracture mechanics. His research interests include a combined analysis of petroleum systems, earthquakes, and volcanic eruptions based on geology, geophysics, statistical modeling, and control theory. He is a founding member of Geoscientists Without Borders, for which he received an award from SEG in 2010. He is a member of the editorial board of the Journal of Seismic Exploration and has published 107 refereed publications in international journals.